Hungarian Residency Bond Program was the most popular residency by investment program in Europe. The Hungarian Treasury has sold 7000+ Residency Government Bonds. The Hungarian government announced that the program is closed on 31st March. Applications were only accepted till March 31, 2017. Could you extend the deadline? Unfortunately, we cannot. The deadline is set by the Hungarian government. What made the Hungarian Residency Bond Program the best? LIFELONG You pay once and you can use it in your whole life. EASY Easy requirements, personal guidance throughout the whole Program. SUPERFAST Fast processing, permanent residence permit within one month. FOR YOUR FAMILY Your spouse and your dependent children and parents are also included in the Program free of charge. LOW COST Total cost is €360,000 of which €300,000 will be refunded after 5 years. It actually costs EUR 60,000 for the whole family. This is the cheapest offer in Europe. FREE MOVEMENT You can freely travel within Schengen countries without visa and border control. PERSONAL SAFETY Hungary is a safe country. You and your family are in safety in Hungary. SAFE INVESTMENT You invest in Hungarian government bonds. BUSINESS IN EUROPE Hungary is a springboard for European business. The Hungarian Debt Management Agency (“ÁKK Zrt.”) has sold 6621 Residency Government Bonds. Is it really the best offer? What steps should I make? Is Hungary a nice country? May I travel to Europe? Which is now the best European residency program? We have carefully studied the main European residency programs and compared them. Each program is characterised by a 'value score' which is derived from 3 main factors: required net investment, time to get permanent residence permit and free movement in Europe. For your help we listed all programs with their value score. Our expert team is highly motivated to meet your needs and expectations to the very highest standards. Our efforts has been recognised in the last 3 years by the "Best Immigration Team" award. 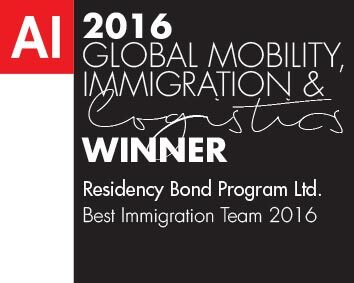 Our team has been awarded the 'Best Immigration Team' in the last 3 years. Our expertise enables us to make sure that each of our clients’ case is handled effectively and in a professional way. We do not play the “expert advisor role”, we just collaborate. We know that the future of your family is the most important for you. Working closely together with you, we aim to find the solution that satisfies most of your needs. As pioneers, we have been concerned with the new Hungarian Residency Bond Program from the very first moment, since its inception. We selected a variety of investment options for you. Each of them is the best in one sense or another. We are well aware that your case is different; you have your own special concerns, needs and expectations. We are a Hungarian company, we know the special Hungarian environment. You are welcome in our Budapest office. 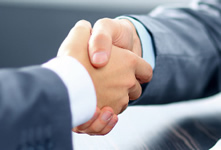 We work together with a leading and internationally recognized law firm as our strategic partner. That means experienced immigration lawyers will handle your application and your case. You are safe, if your case is in the best hands. We provide you professional legal assistance in every tiny details. We are well aware that your case is different; you have your own special concerns, needs and expectations. We provide our clients with a full scope and all-inclusive personal assistance. Based on the feedback we have received, this investment option has stirred the interest of numerous investors and would attract many third-country nationals to Hungary, since the residence permit would allow its owner not only to enter Hungary, but also to travel to any country in the Schengen Area without a visa.